HERO4 Session: So small. So stoked. Get lifted and shifted, wet, weightless and upside down with HERO4 Session—the smallest, lightest, most convenient GoPro yet. Follow GoPro athletes as they pitch camp 1,000’ above the valley floor, rappel down an active waterfall, approach 200 mph in a supercar and cut tracks through a bottomless Canadian cloud. From Vancouver Island to Zion National Park, Sumatra to Tahiti, Panama to Spirit Falls—the best sessions happen anytime you’re doing what you love. What's your session? HERO4 Session packs the power of GoPro into our smallest, lightest, most convenient camera yet. 50% smaller and 40% lighter than other HERO4 models, its rugged waterproof design eliminates the need for a separate housing. A single button powers on the camera and starts recording automatically. With 1080p60 video and 8MP photo capture, HERO4 Session delivers the professional image quality that has made GoPro famous. *For optimal streaming quality, use a Google Chrome browser. The Glitch Mob "Animus Vox"
DK + Gas Pedals + Maple. RockerConcave, WConcave, 38'' or 41''. Choose your preferred weapon for downhill freeriding. GoPro: Ting Xiao Conquers White Mountain Meet the local climbing heroes of Yangshuo, China: Ting Xiao and her boyfriend Abond. Ting, a former city girl, attempts to conquer one of the most difficult climbing routes in all of China - an estimated 5.14B rating. 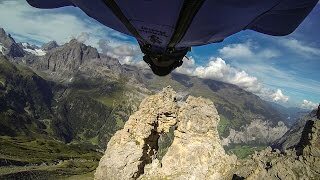 GoPro: Wingsuit Flight Through 2 Meter Cave - Uli Emanuele Uli Emanuele pilots what is possibly the most technical and difficult BASE jump ever. For the past 3 years Uli has been dreaming about and preparing for what could be a world record jump. With just his wingsuit and hiking poles, he climbs to his exit point and realizes there is no turning back. 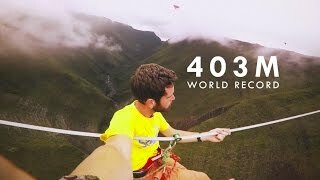 Nathan Paulin Sets 403m Highlining World Record On the side of a volcano in the middle of the Indian Ocean, Nathan Paulin set a new highline world record: 403m long, high above the Cassé de la Riviére de l’est. With 250m of air underneath his feet, it was no walk in the park. Check out his experience from above, beside, and on the line from his world record walk. Update: Nathan recently set a new world record highline at the Natural Games in Millau, France – 469m! CRANK UP YOUR SPEAKERS AND HIT FULL SCREEN!!! 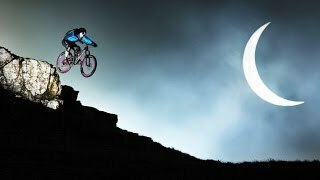 Legs Of Steel is proud to present their 2011 ski film "Nothing Else Matters" in association with Red Bull Media House, Völkl, Marker, Oakley, Fiat Freestyle Team, Leki, Atomic and Monashee Powder Snowcats. 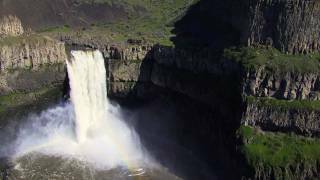 Tyler Bradt Highest Waterfall In A Kayak 189ft (Official World Record) Tyler Bradt completes the World Record Waterfall Descent. 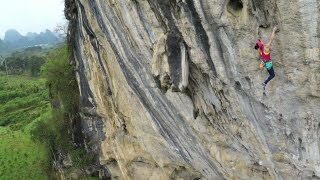 This drop was re-measured at 189 ft. A few feet taller then we had previously thought... Tyler sustained minor injuries which included a sprained wrist and a massive hit. SpeedRiding - Superior Speed *BEST EXTREME SPORT* Welcome to the new sport of speedriding, also known as speedflying! Best extreme sport ever! Mix of skiing and parachuting! SPORTING-SAILS - Skiing with a Parachute Sail/Kite (Deploy and Enjoy) http://www.sporting-sails.com/ - Reinvent the Descent - Billy Smith spring skiing with the Original Downhill SPORTING-SAIL having fun in the sun down a favorite run. Feeling the "lift," carving around trees, tucking over knolls, deploying with ease, using the imagination, discovery and exploration. 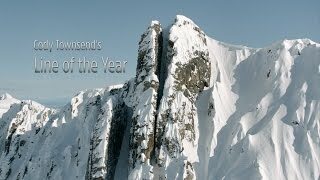 GoPro HD: Avalanche Cliff Jump with Matthias Giraud Shot 100% on the HD HERO® camera from http://GoPro.com. Super Kite Day will of course will be going to the 8th Snowkitemasters in January and look forward to seeing all the riders again for a great sesh. Thanks again to all the riders organizers and to our sponsors ATBShop. TUNA TORNADO - Huge Swarm of Jack Fish Dwarf Scuba Diver Fish Tornado. A huge school of jack tuna (bigeye trevally) swarm together in this amazing display of courtship. They absolutely dwarf the scuba diver. Octavio Aburto released a photo titled "David and Goliath" which was so astounding many believed it was staged or altered. It's hard to deny this natural wonder, the tornado of fish, after viewing his footage. Sebastian Alvarez Wingsuit proximity flying. The Crack. Sputnik Exit. Wingsuit proximity flyby, "The Crack" Line. 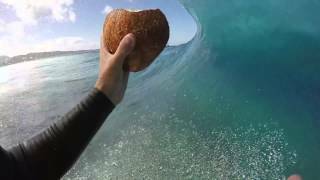 GoPro: Barrels of the Earth - GoPro of the World 2014 powered by Surfline GoPro of the World 2014 powered by Surfline is the first world-wide video competition of it's kind, which spanned 5 months and included hundreds of entries from surfers around the world. Judges Taylor Steele, Mike Prickett and Pete Hodgson selected winners based on cinematography, degree of difficulty of shooting, perspective, overall beauty and lighting. Koa Smith won the overall prize of $20K in 2014 and went on to be awarded "Best Barrel" at the Surfer Poll Awards for the same GoPro clip in Namibia. Congratulations to all the surfers for filming some of the best waves of your lives. This film is for you. NZ Spot X Tubes At the moment I'm back in New Zealand where I normally don't pull out the GoPro.com camera. It's always getting used on my Indo trips, but this particular day me and some buddies scored a fickle surf spot close to home that only breaks good once every 5 years! So I had the GoPro2 on my wrist and even tried my ankle (hence the one strange looking clip). Played around with a few special effects while I was editing also. The song is "Winter Mulch" by Barclaybunch and can be found on Soundcloud. Just Deserts During my last boat trip around Lombok and Sumbawa we scored 2 hell swells. Our last session was on the way back to Bali at Desert Point. Some really fun waves. Took out a couple of GoPro cameras and captured a few barrels. It wasn't all time waves or footage but there's a few cool moments in this short little edit I made. All waves ridden in this edit were on my CSA 5'11 HPX set-up as a quad fin.